The word ‘education’ conjures up many images – of children earnestly working in school, poring over their books, preparing for the future. The current notion of education as preparation for the future is relatively recent, a product of modern western society. Preparation for the future implies more productivity, more expertise, more leisure, so that the future is more secure. In earlier times, however, education had different emphases – learning, mainly religious in nature; the mastering of various skills, often passed on from one generation to the next in order to fulfill a role in society. 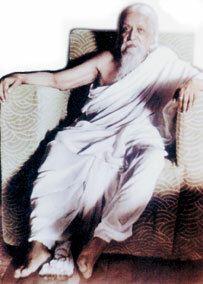 Religious learning laid a foundation for the student to become a better human being – for example, the Buddhist ideal of striving towards becoming a bodhisatva, who released all sentient beings from suffering, the Muslim notion of piety, and obedience to God and the prophet, the Hindu notion of Brahman, a state of transcendence of the material world. One of the earliest Indian religious thinkers of the 20th century who recognised the need for a shift in consciousness towards higher ideals was Aurobindo. His vision for education was based on that of the ancient Indian sages – that behind the apparent separation of objects and phenomena in the world, there is an underlying unity which may be called the Self of all things, or, the Reality of a Being of all things. It is possible for anyone to “remove (the) veil of separative consciousness and become aware of the true Self, the Divinity within us and all.” (Aurobindo to himself, Vol.26, p.35). Aurobindo also wrote of the principles of ‘supramental Yoga’, that is, a practice of transcending the ordinary workings of the mind, which is based on instincts such as greed, passion, desire and attachment; leading to a constant pursuit of greater beauty, harmony, power and knowledge. These principles are at the core of Aurobindo’s religious teachings. He perceived a renaissance of India based on the application of these principles, and the healing, through the education of young people, of what he called a ‘national wound’ inflicted by colonialism. The brutal and sometimes inane principles of the then British educational system were (and still are) being carried out in India even after independence – capital punishment, cramming for examinations, the rigid authoritarianism of teachers. He saw these as deeply destructive of curiosity and learning and felt the need for a complete change in the way education was approached – a freeing of the minds of Indians into an appreciation of their own rich cultural past. Often, Aurobindo rewrote received principles of education. If his principles were to be applied in schools today, much would have to be changed. The teacher, rather than being authoritarian, has to play the unobtrusive role of guiding the pupil gently and easily without the rigid imposition of structures such as constant testing and evaluation. A school is usually regarded as a place a child goes to in order to learn from the teacher and from books. Specially talented children are usually recognised by teachers through competitions. However, Aurobindo saw that every child has a combination of a variety of talents: an instinct for words, a dramatic faculty, an interest in and an imagination for history. Besides, children love interesting narratives, and “Every child is an enquirer, investigator, analyser and merciless anatomist…. Every child has an insatiable intellectual curiosity and turn for metaphysical enquiry” (Aurobindo and the Mother, p.34, p.35). Slowly, by stimulating these talents and faculties, a child may be drawn into understanding herself and the world. A child’s talents cannot be nurtured or cultivated unless there is leisure and space for exploration. The emphasis on slowness is compelling. Slowness is usually considered an index of a lazy mind, which is incapable of grasping concepts completely. However, a child who shows no evidence of grasping a concept immediately after it has been taught may, in fact, be assimilating it in her own unique way, playing with the concepts and images in her mind, turning them over and over so as to find it meaningful. Even if teachers are not able to make too many radical changes in the classroom, they could make some changes in their perspectives. Teaching and learning need not be experienced as rigid processes that are not a source of pleasure, or as a road leading to a future which never seems to arrive (the ideal of endless progress). Aurobindo’s teachings and work in education show us that modern education need not exclude what it means to strive towards the higher ideals of being human. This, after all, is what education has meant through the ages. Deepa Onkar has been a teacher at CFL, Bangalore, and is an editor based in Chennai. She can be reached at donks71@yahoo.co.uk .